Upon visiting Berlin’s IFA2107 — Germany’s answer to CES — recently, there was one word I kept hearing: Alexa. In the consumer hardware space, it’s a great time to be Amazon, if the sheer number of hardware companies jumping on the Alexa bandwagon are anything to go by. Only today it was revealed that Amazon is working on a pair of smart glasses integrating Alexa, intended to look similar to regular glasses with bone conduction technology to allow the user to engage with Alexa without having to wear headphones. Amazon is also working on an Echo connected camera system that cannot only keep a look out for intruders but also Amazon-delivered packages. 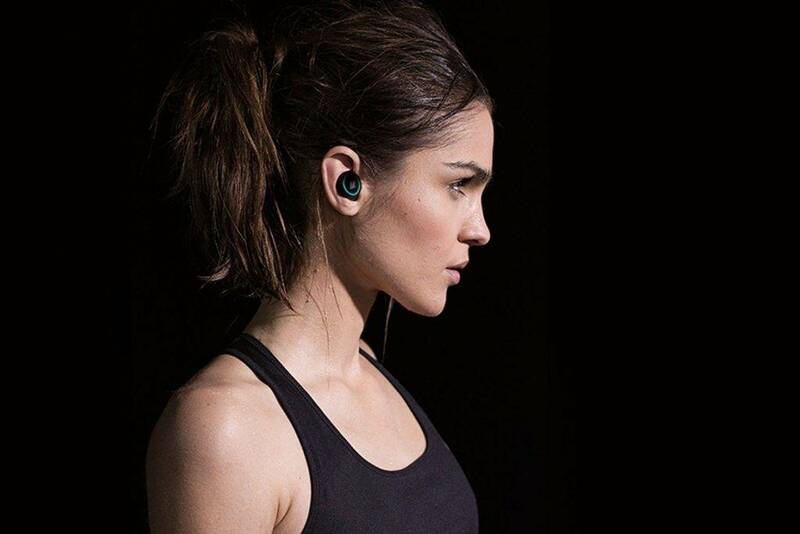 Smart headphone company Bragi is responsible for one of the largest Kickstarter funding rounds in European history (over $3.39 million) with The Dash series (The Dash, The Dash Pro), headphones that not only enable the user to listen to music without leads but also measure movements like pace, steps, cadence and distance along with heart rate, oxygen saturation and energy spent, without an attached smartphone. At IFA2017 they company announced that their headphones are now Alexa-compatible. This marks a first for Alexa in the “truly wireless” headphone space. It’s also one of the first truly mobile hardware integrations for Amazon’s cloud-based voice service. “Now customers with The Dash headphones can easily take Alexa with them on the go,” said Jon Kirk, Director Amazon Alexa. Bragi products are currently compatible with voice assistants like Apple’s Siri and Google Assistant, but Amazon Alexa brings a new world of possibilities through smart home, shopping, and home entertainment use cases. Users of Amazon Alexa on The Dash will also be able to access several streaming audio options including their Amazon Music Library, Amazon Prime Music, Audible and TuneIn Radio. UBTECH Robotics‘ Alpha 2 and younger sibling Lynx, are two humanoid robots are intent on taking over your household tasks. They can take pictures and videos, make calls, check voicemails, read and send texts and emails, and control WiFi-enabled office equipment. They can also post to your social media using voice commands and dance enthusiastically due to over 20 joints on each robot. Alpha 2 features an open API and SDK for Android and the comes welcomes input from developer enthusiasts. Significantly, Lynx is the first video-enabled humanoid robot with Amazon Alexa functionality. This means that the robot can not only shop directly from Amazon but also ’s talk to home devices such as security cameras, door locks, security systems, and thermostats. 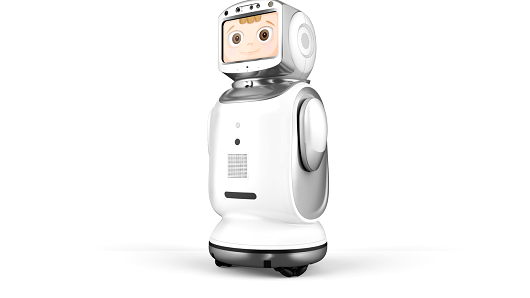 Fellow robotics company Qiban debuted Sanbot Nano, the company’s first home robot. It’s something like a security camera crossed with Echo Dot — it’s Alexa capabilities succeeded that of Lynx robot — that patrols your house and talks to you, thanks to 50 sensors that help it avoid obstacles, hear voices, and facial recognition tech that helps it recognize when someone enters the room. The downside is its price, you can expect to part with $2,800, more than double the price of Alpha 2 and Lynx. Other products that announced partnerships with Amazon included SmarterFridge Cam, Bosch 360° Indoor Camera and Eyes Outdoor Cameras and a new range of televisions for Toshiba. 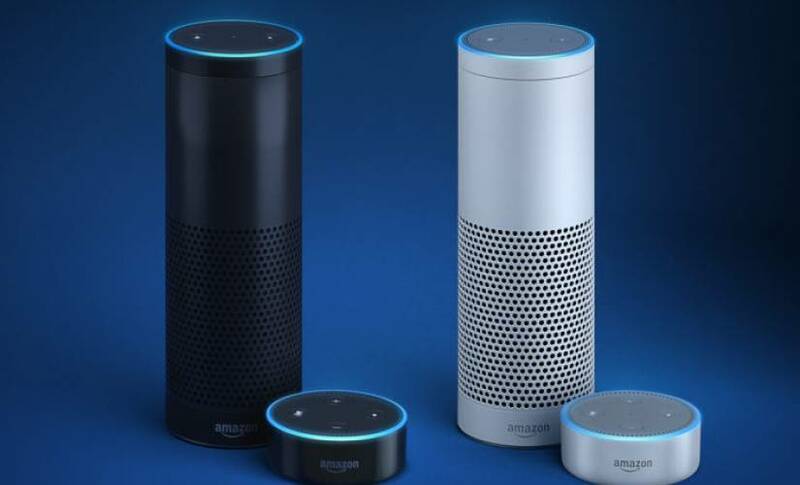 Along with lending it’s functionality to more and more hardware, Amazon and Microsoft announced on Sunday that Alexa will be able to talk to Cortana, and Cortana will be able to talk to Alexa. Alexa customers will be able to access Cortana’s unique features like booking a meeting or accessing work calendars, reminding you to pick up flowers on your way home, or reading your work email – all using just your voice. Similarly, Cortana customers can ask Alexa to control their smart home devices, shop on Amazon.com, interact with many of the more than 20,000 skills built by third-party developers, and much more. The combining of the home automation and shopping functionalities of Alexa and business communication skills of Cortana will provide some useful collaborative clout against Google and Siri assistants, as well as showing the benefits of collaboration to the innovation of the voice assistant ecosystem. There is, however, no word yet from the latter companies as to whether they want to join the gang. As Amazon endeavors to seep into every part of your life, you can bet the rest are taking notice.